You are browsing the archive for finland. The following post is by Kat Braybrooke, London-based Community Coordinator of the Open Knowledge Foundation (Regional Chapters and Groups) and a core organiser of OKFest. On September 17-22 this year, global communities will be descending on the shores of Helsinki for a week-long celebration called the Open Knowledge Festival – and you’re the first to be invited! For this festival – the first of its kind in the world – we are bringing Open Government Data Camp (OGDCamp) and Open Knowledge Conference (OKCon) to the same place to provide new opportunities for collaboration. We’ll start the week by supporting practitioners working in the fields of open government and municipal data, and end it by exploring the diversity of open knowledge initiatives from a global perspective. The organising team, a talented gathering of Finns and leaders from around the world, are already hard at work planning a busy week of seminars, workshops, lectures, hackathons, keynotes, coding jams and interactive media sessions that will bring together participants from a wide variety of backgrounds in new ways. Another important element of OKFest is its Nordic location. The host city of Helsinki is in the midst of an urban Finnish renaissance built on inclusive communities. It is home to one of our first incubating Local Chapters, and as the next World Design Capital for 2012, the city will also be hosting an inspiring cohort of open data practitioners who combine design, art, academia and technology to support innovation in new and interesting ways. Helsinki locals organised the city’s first Open Knowledge Meetup this October and have just opened the first FABlab in Finland at the Aalto University Media Factory. We look forward to highlighting even more Finnish projects in the field of open knowledge, and hope to see the participation of many representatives of Nordic nations. 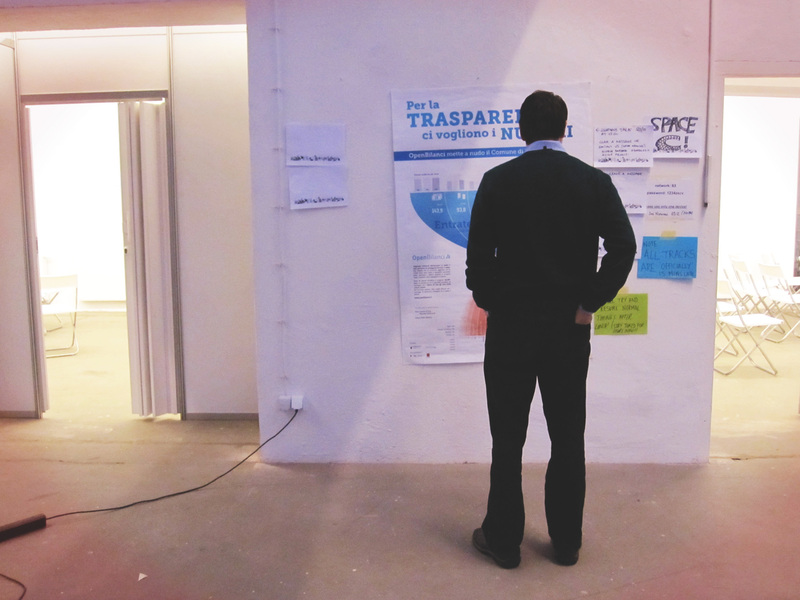 Most importantly of all, we want your ideas to be highlighted at OKFest. We are currently looking for proposals regarding sessions, satellite events, research streams, hackathons, lecture topics and other forms of collaboration. Have a great project or idea that you want to share with the global community? This is the place to do it. 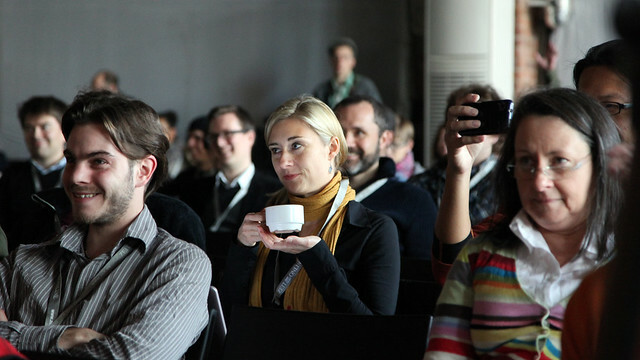 Join our public discussion list and say hello here and start finding collaborators on Twitter using the hashtag #okfest. We hope to see you in Helsinki, Finland this September for a week of new friends, open knowledge and global inspiration with a Nordic twist! Photo from OGDCamp 2011 thanks to Volker Agüeras Gäng on Flickr. Comments Off on OGDCamp + OKCon = Open Knowledge Festival 2012 in Helsinki, Finland! I’m happy to announce that our Vaski-consortia of public libraries serving total 300 000 citizens in Turku and the a dozen surrounding municipalities in western Finland, have recently published all of our 1.8 million bibliographical records in the open, as a big pile of data (see on The Data Hub). Each of the records describes a book, recording, movie, song or other publication in our library catalogue. Titles, authors, publishing details, library classifications, subject headings, identifiers and so on systematically saved in MARC -format, the international, structured library metadata standard since the late 1960s. Unless I’ve missed something, ours is the third large scale Open Data -publication from the libraries of Finland. The first one was the 670 000 bibliographical records of HelMet-consortia (see on The Data Hub), an another consortia of public libraries around the capital Helsinki. This first publication was organized and initiated in 2010 by Kirjastot.fi Labs, a project seeking for more agile, innovative library concepts. The second important Open Data publication was our national generic theseurus Yleinen suomalainen asiasanasto YSA which is also available as a cool semantic ontology. Joining this group of Open Data publications was natural for our Vaski-consortia, because we are moving our data from one place to another anyway; we are in the middle of the process of converting from our national FinMARC -flavour to the international MARC21 -flavour of MARC, swapping our library system from Axiell PallasPro to Axiell Aurora, plus implementing a new, ambitious search and discovery interface for all the Finnish libraries, archives and museums (yes, it’s busy times here and we love the taste of a little danger). All this means we are extracting, injecting, converting, mangling, breaking, fixing, disassembling and reassembling all of our data. So, we asked ourselves, why not publish all of our bibliographical data on the net while we are on it? The process of going Open Data has been quite seamless for us. On my initiative the core concept of Open Data was explained to the consortia’s board. As there were no objections or further questions, we contacted our vendor BTJ who immidiately were supporting the idea. From there on it was basically just about some formalities with BTJ, consulting international colleagues regarding licensing, writing a little press-release, organizing a few hundred megabytes of storage space on the internet. 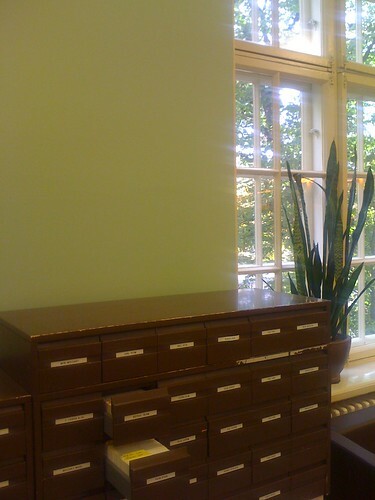 And trying to make sure the Open Data -move didn’t get buried under other, more practical things during the summertime. For our data license we have chosen the liberal Creative Commons-0 license (CC0), because we try to have as little obstructions to our data as possible. However we have agreed on a 6 month embarko with BTJ, a company who is doing most of the cataloguing for the Finnish public libraries. We believe that it is a good compromise to prefer publishing data that is slightly outdated, than try to make the realm of immaterial property rights any more unclear than it already is. We seriously cannot anticipate what our Open Data -publication will lead to. Perhaps it will lead to absolutely nothing at all. I believe most organizations opening up their data face this uncertainty. 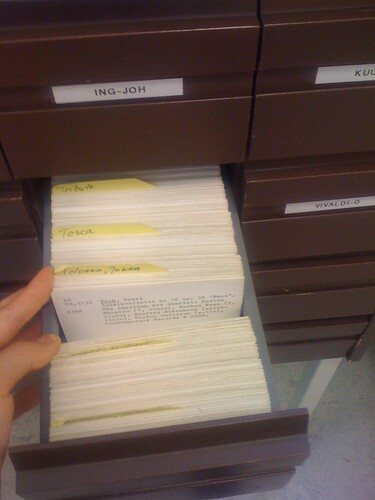 However what we do know for sure is, that all of the catalogue records we have carefully crafted, acquired and collected, are seriously underutilized if they are only used for one particular purpose: finding and locating items in the library collections. For such a valuable assett as our bibliographical metadata, I feel this is not enough. By removing obstacles for accessing our raw data, we open up new possibilities for ourselves, for our colleagues (understood widely), and to anybody interested. Mace Ojala, project designer Turku City Library/Vaski-consortia; National Digital Library of Finland, Cycling for libraries, etc. http://xmacex.wordpress.com, @xmacex, Facebook etc.